Using the balance sheet, you can keep track of profit for your entire website. Although many tools have the balance sheet option (those tools associated with income), you would generally only choose one tool to activate the balance sheet. For example, if your website is primarily about your online course, it would make the most sense to activate the balance sheet for your online course. In your tool, generally the primary one that generates the most income for your website, go to "Configure" > "Reports" and check the "Use Balance Sheet" option. If you are splitting the profit with another administrator, moderator, instructor, or anyone, enter in the percentage they receive of profits in the "Managing Director Share." This is for reporting only, and no actual money is paid out. Generally, the balance sheet can be found under the "Reports" tab in the top menu (when logged in as administrator). 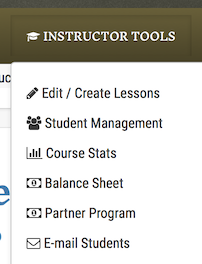 However, with the Online Course tool, the balance sheet can be found under the "Instructor Tools" tab. Once you access the balance sheet, you would begin by selecting the month that the expense or income you want to enter or want to see, is associated with. You would then just manually enter any expenses associated with the website or income associated with the website that is not picked up by Simple Sell. 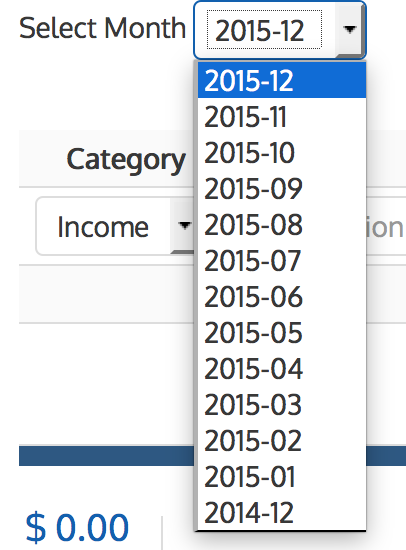 Following the step above to select a month, you will be shown stats for that month. The greenbars represent the income, and the red bars represent the expenses.